In the second trailer for the now-open Patriot’s Day, filmmakers have highlighted personal stories from some of the actors in the film and even some of the people actually involved juxtaposed with footage from the new film directed by Peter Berg and starring Mark Wahlberg. This trailer really hit me. Of course you all know the story of the 2013 Boston Marathon bombing, but actually hearing the impact on real human lives makes the difficult subject material more accessible. Hearing how it further effected the performers and filmmakers adds to the movie’s impact. I was sold on this film when I heard that Peter Berg was again working with Mark Wahlberg on another true tale of courage. After Lone Survivor and Deepwater Horizon, these two can do anything and I’ll be stoked. Patriot’s Day seems primed to win over at least some voters come award season. So what did you think? Have you seen Patriot’s Day and what did you think of it? Drop a comment below and let me know. Moana is #1 Three Weeks Running! Well, good for Disney. 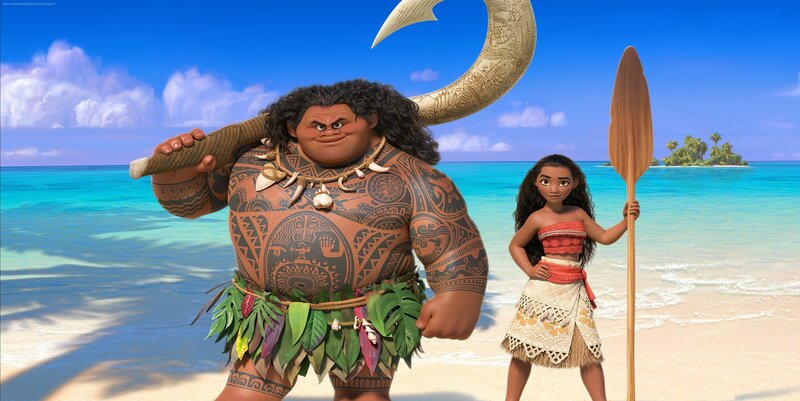 Moana, the newest animated adventure, has won the weekend over newcomer Office Christmas Party. The Disney film came in at #1, likely for the last time considering its competition next week (Lucasfilm’s Rogue One). In second place comes R-Rated comedy Office Christmas Party, which opened to somewhat disappointing reviews (it holds a Rotten Tomatoes score of 43%). It doesn’t appear like it will hold this position given recent news about star TJ Miller. I was excited to see Office Christmas Party until I started hearing not-so-great info about it. In third place, Fantastic Beasts and Where to Find Them, the newest film in the Wizarding World cinematic universe, is holding pretty strong. Given the fan-base surrounding this property, I’m not all that surprised by its performance, but I’m thankful it continues to hold strong. Rounding out the box office is Arrival and Doctor Strange. The big win is Arrival, a film that isn’t trying to be win viewers over, but it’s unique premise is a lot more accessible than you’d think, and positive word-of-mouth is really helping. No one is all that surprised by Doctor Strange’s performance after initial reviews dropped in praising the film. Did you see anything this weekend? What did you see and what did you think? Drop a comment below and don’t forget to like and subscribe. Well, it’s been rather nerve-wracking waiting on the first trailer for the newest incarnation of Spider-Man played by Tom Holland. Yes, I know we got a hint of the character from the recent Captain America: Civil War, but even as much as I liked Holland’s portrayal, seeing an entire film centered on him is rather different than just what amounts to a cameo appearance. Well, the wait is over, and the first trailer is here. In it, we get a little bit of fun banter with Tony Stark (Robert Downey, Jr.), who returns in the film to shepherd Spider-Man’s abilities as an Obi-Wan type. We also get our first look at the Vulture, and I’m digging the look. 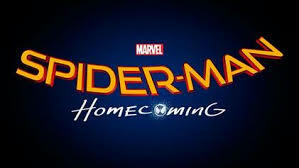 Overall, though, we are getting the feeling that this is a John Hughes superhero film which was what we were promised. To me, there just isn’t a whole lot of bad about this trailer. It’s weird because I’m searching for a flaw, but I just can’t find one. It seems like this relationship between Marvel and Sony might actually work. What do you think? Are you excited for the new John Hughes-like Spider-Man: Homecoming? What’s your favorite live-action Spider-Man film? Let me know. The Teaser Trailer for Baywatch is Here; Sink or Swim? With 2016 coming to a close, it’s time to start getting excited for the upcoming blockbusters that are starting to drop trailers. Today, we get Baywatch. Baywatch’s fresh new teaser had some elements to love and a few things I’m worried about…let’s start with the good. First of all, Dwayne Johnson and Zac Efron have great chemistry. Secondly, the teaser provides the opportunity to do to eschew the 90s in the same way 21 Jump Street did the 80s. There’s a real chance for Baywatch to be that kind of sendup in the way Starsky and Hutch was a decade ago. As far as cons go, I wanted to see more comedy from the female cast. I really hope that the movie doesn’t underplay the ladies. I’m also extremely concerned with the visual effects, which look unfinished. That being said, perhaps they are, but this is no way to release a teaser. My excitement level has not wavered for Baywatch, but I have some concerns to voice about this initial teaser. What did you think? And it you like this news, please click like or comment below. Teaser Trailer for Regular Trailer for Reimagining of Classic Horror Monster Cinematic Universe is Exciting! In Short, The Mummy Trailer Teaser is Here. Wow, who would’ve thought the idea of a Universal Monster Cinematic Universe would be so exciting, but here I am gushing over the teaser to a trailer for the upcoming 2017 The Mummy starring Tom Cruise. I left the teaser below to check out, and there isn’t a whole lot to describe, but we get a chance to see Sofia Boutella as the titular mummy, Tom Cruise says a line, and we get a real quick glimpse at Russell Crowe who is co-starring as Dr. Jekyll and maybe Mr. Hyde. But it isn’t so much what’s in front of the camera that excites me as what’s behind the camera. Alex Kurtzman is a terrific writer who is finally sitting in the director’s chair, and I can’t wait to see the finished product. So what did you think of the trailer teaser (I hate that this is a thing now)? Are you excited for the trailer? Are you already plotting out when to see The Mummy? Let me know.